Amy Winehouse was a talented English singer and songwriter. Even though she had a short-lived career, she achieved cult status with two best selling albums and hits such as Rehab, Back to Black, Love is a Losing Game, Stronger than Me, Valerie, and You Know I’m No Good. She also won several awards including six Grammys. Sadly, Winehouse died at the age of 27, robbing the world of a beautiful voice. Get to know more about her here including the cause of her death, net worth, e.t.c. Amy Jade Winehouse was born on the 14th of September 1983 in North London. Her dad, Mitch Winehouse, was a cab driver and music enthusiast while her mom, Janis, was a pharmacist. She had an elder brother named Alex and her family was Jewish. Winehouse fell in love with jazz music at an early age thanks to her parents and her paternal grandma (Cynthia) who was a singer. On her grandma’s suggestion, Winehouse was enrolled in various theatre schools to hone her skills. At the age of 15, the singer left school and started writing music. She worked various jobs in order to pay bills and sang in a local band. Amy Winehouse eventually recorded a demo tape and her best friend sent it to a talent scout. Impressed with her voice, the scout signed her on and they worked towards landing her a record deal. Winehouse later signed a record deal with Island Records and released her debut album in 2003 at the age of 20. The album titled Frank made it to the upper levels of UK charts and was nominated for the 2004 Mercury Music Prize for best album. The Londoner released her second album, Back to Black, in 2007. It was even more successful than the first and won Winehouse several awards including the Grammy for Record of the Year, Song of the Year, Best Female Pop Vocal Performance, and Best Pop Vocal Album. Back to Black would end up being the final album Winehouse would release in her lifetime. At the time of her death, Winehouse’s estate was valued at $6.7 million. She left no will and her money went to her parents with her dad appointed as the executor of her estate. Her estate should have been worth much more given her successful career but she reportedly spent large sums on her drug habit and charity purposes. In the aftermath of her death, her family set up the Amy Winehouse Foundation. The charity provides assistance for vulnerable and disadvantaged young people, particularly those coping with substance abuse and emotional problems. 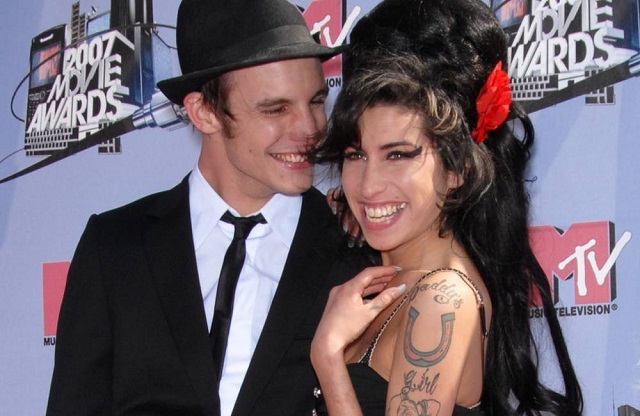 Amy Winehouse dated some individuals in the course of her life. They include British singer and songwriter, Alex Clare (in 2006), English actor Josh Bowman (in 2009) and British film director Reg Traviss (from 2010 up until her death in 2011). However, her most famous relationship was with Blake Fielder-Civil, a former production assistant and school dropout. They met in a bar in 2005 and dated on and off before tying the knot in 2007. It was a toxic relationship as Fielder-Civil was a drug user as well as a felon. He served time in prison for various offenses and has admitted to being the person that introduced Winehouse to cocaine and heroin. The couple also got into fights, they were once photographed on the streets of London looking bloodied and bruised. Fielder-Civil filed for divorce in January 2009 citing adultery. It was finalized in July 2009. Amy Winehouse died at her home in Camden, London, on the 23rd of July 2011. Her death was as a result of alcoholism. At the time of her death, her blood alcohol level was five times above the drink-drive legal limit. Three bottles of vodka (1 small and 2 big) were recovered from the room where her body was found. Winehouse’s death has been described as a modern tragedy. She became famous at a very young age and in order to cope with the demands of fame she turned to alcohol and drugs. Often times, she would turn up for shows obviously intoxicated and forget the lines to her own songs. This left her audience dissatisfied and she was sometimes booed off the stage. Her addiction was reportedly set off by the death of her beloved grandma in mid-2006. Even though she entered rehab many times, she still did not shake the habit off. Winehouse even admitted to doing drugs while in rehab. Her substance abuse was further complicated by other serious psychological issues such as bulimia, self-harm, and depression. Winehouse’s funeral took place on the 26th of July 2011 in North London and she was later cremated. She died at the age of 27, joining the 27 Club – a group of popular figures in the entertainment world who died at the age of 27. Other members of the club include Kurt Cobain, Jimi Hendrix, Janis Joplin, and Jim Morrison. 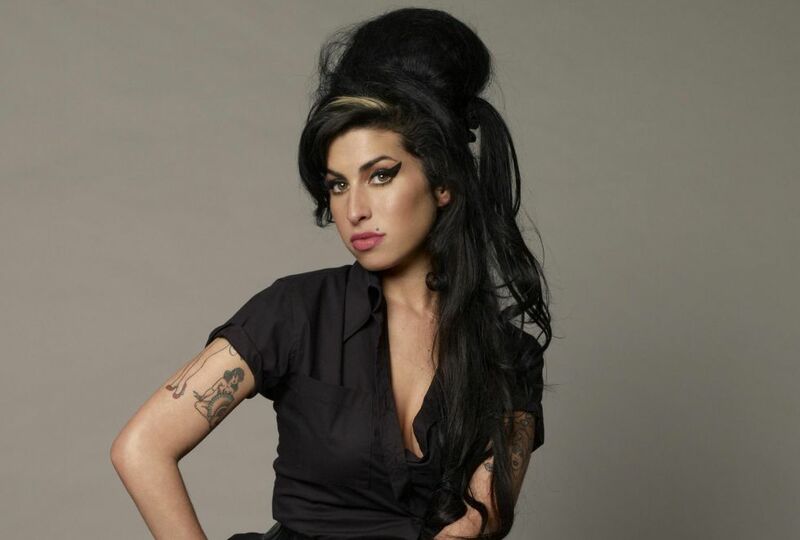 Despite her death at an early age, Winehouse has influenced a whole generation of artists such as Adele, Lady Gaga, John Legend, Lana Del Rey, Bruno Mars, Emeli Sande, Jessie J, Alessia Cara etc. Amy Winehouse was 5 feet 3 inches tall and weighed 110 lb (50 kg). She struggled with bulimia for most of her life and this accounted for her skinny frame. Her eyes were brown while her hair color was black. Winehouse was popular for her signature look of bold red lipstick, exaggerated eyeliner, and beehive hairstyle. This look was influenced by the Latinas she had seen while visiting Miami.